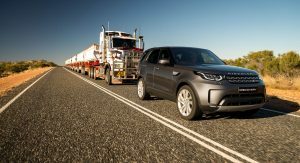 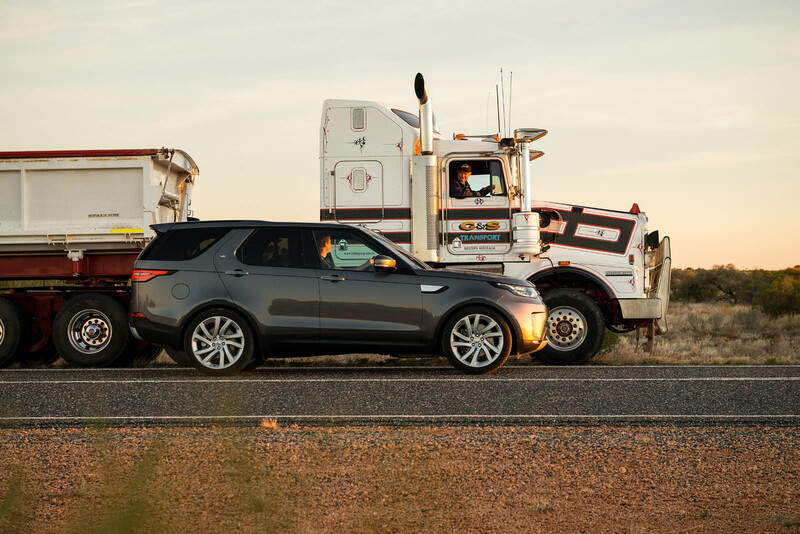 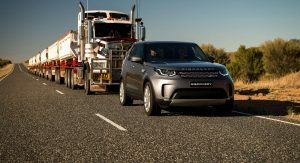 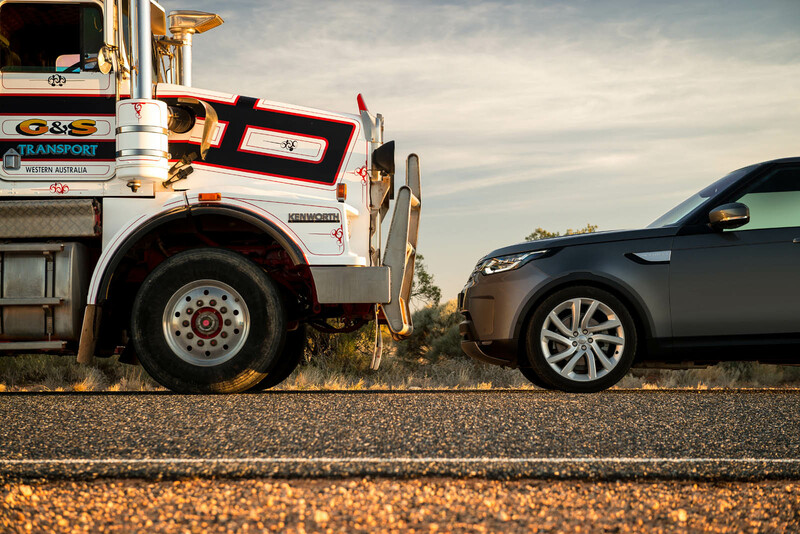 Can A Land Rover Discovery Tow A 120-Ton Road Train? 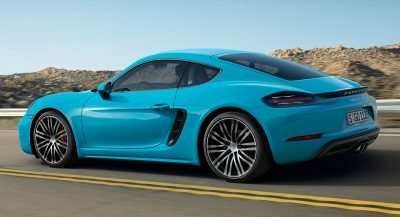 Yes, Yes It Can. 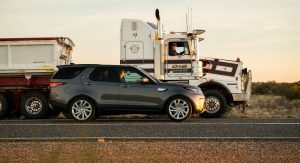 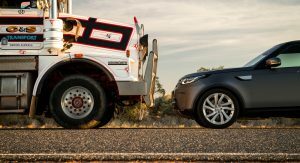 Automakers have been known to undertake all kinds of towing stunts to show what their trucks can do, from jumbo jets and space shuttles to railroad trains. 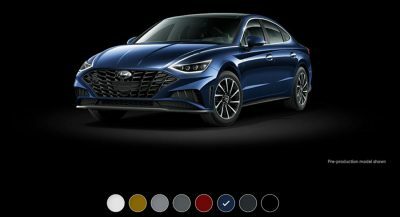 But this has to be a first. 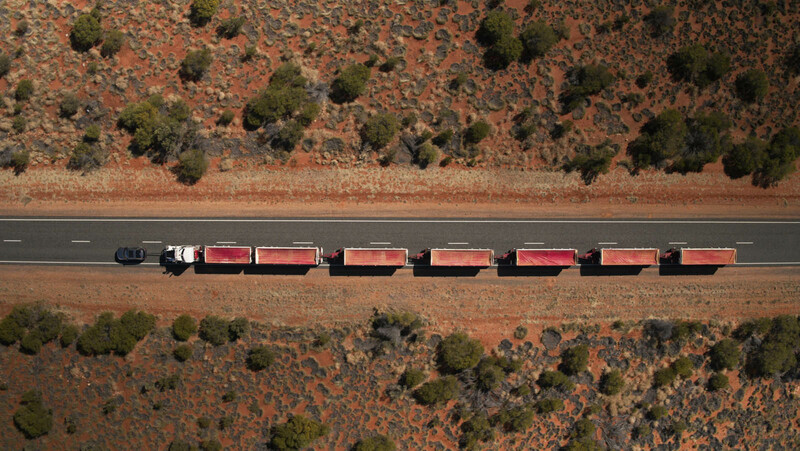 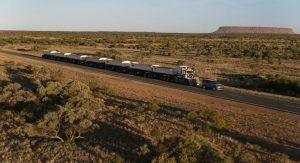 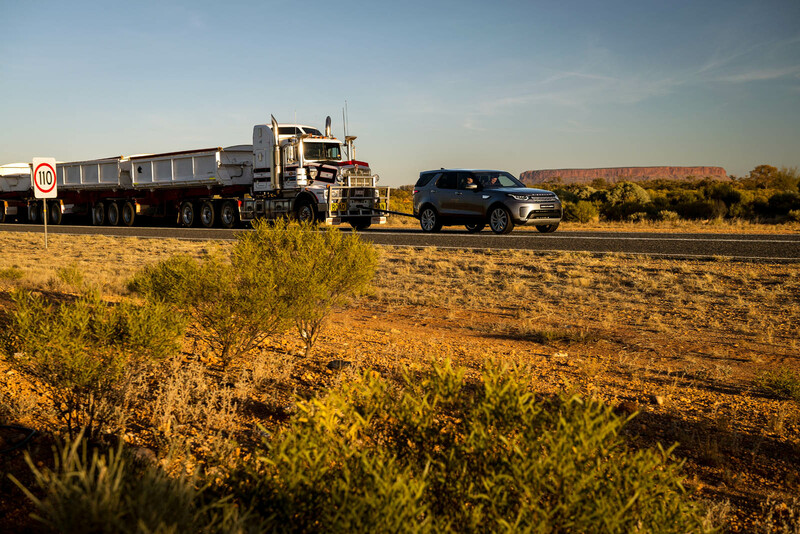 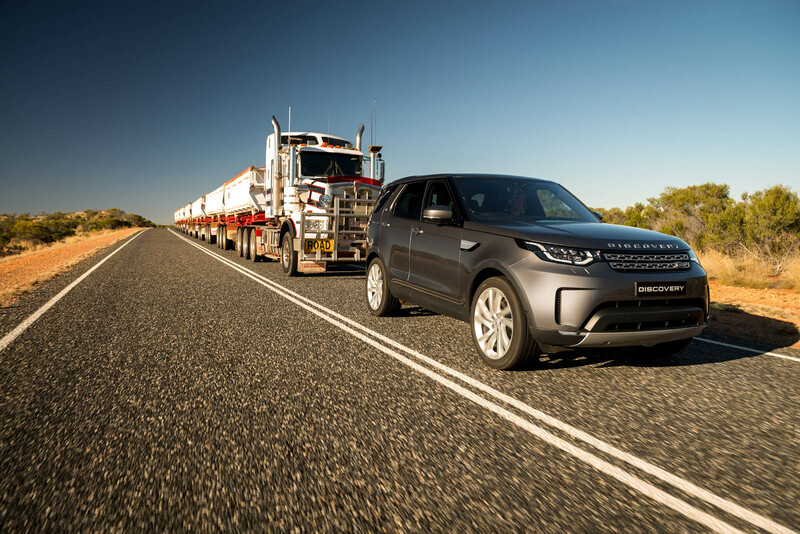 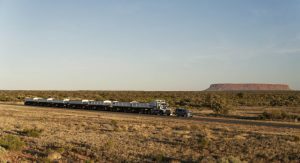 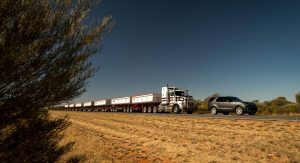 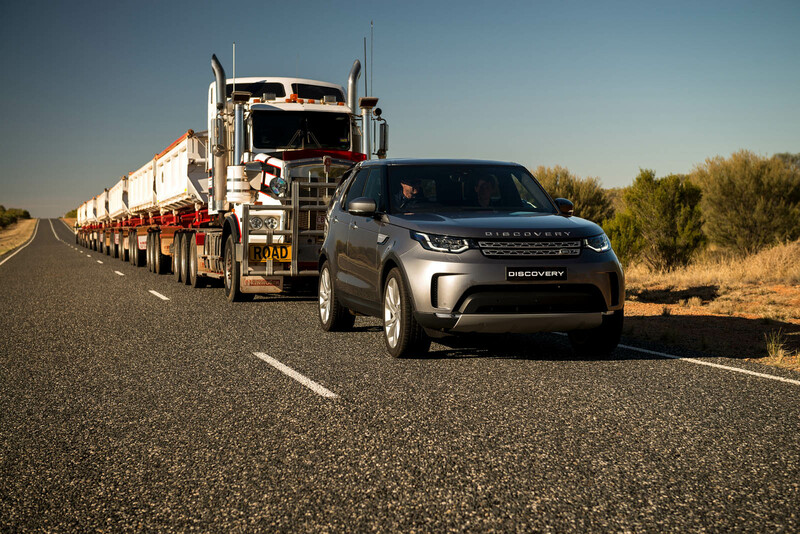 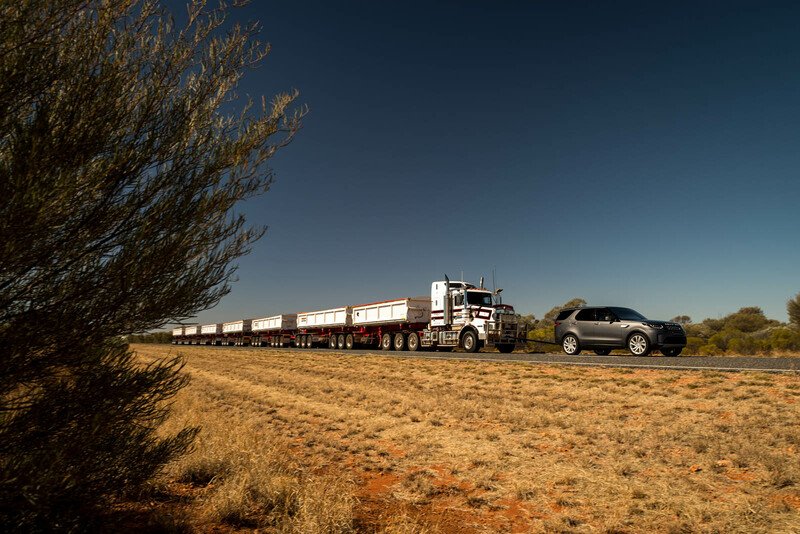 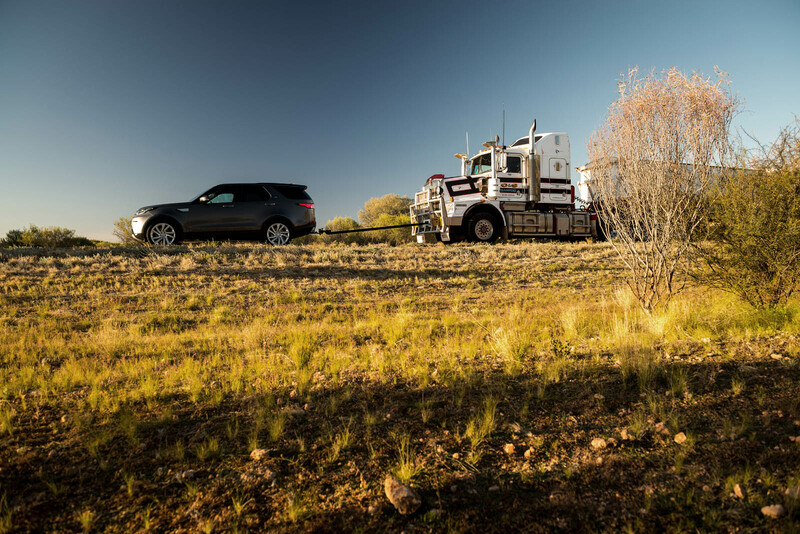 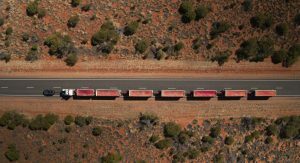 To showcase its latest updates, Land Rover went out to the Australian Outback with a new Discovery and hooked it up to a massive road train. 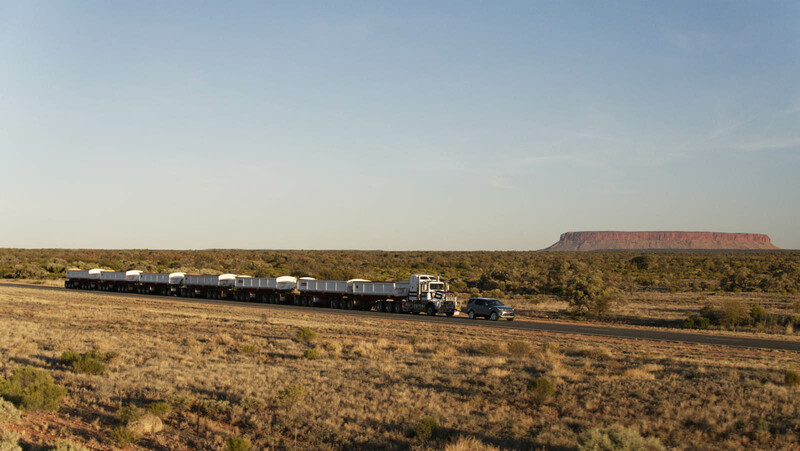 The rig consisted of seven trailers plus the tractor used to pull them, as well as an extra ten metric tonnes of ballast. 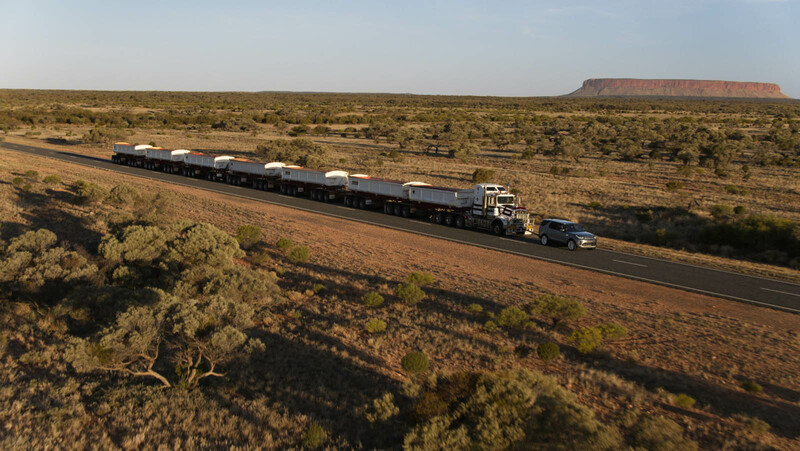 The sum total was 110 tonnes (over 120 tons by US standards) stretching 100 meters (or 328 feet) long. 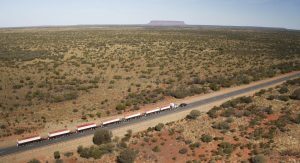 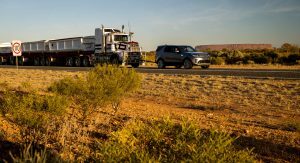 That’s far more than allowed even on the vast highways stretching across the Outback, so Land Rover had to get special permission, and had the ten-mile stretch of the Lasseter Highway in Australia’s Northern Territory closed down for the feat. 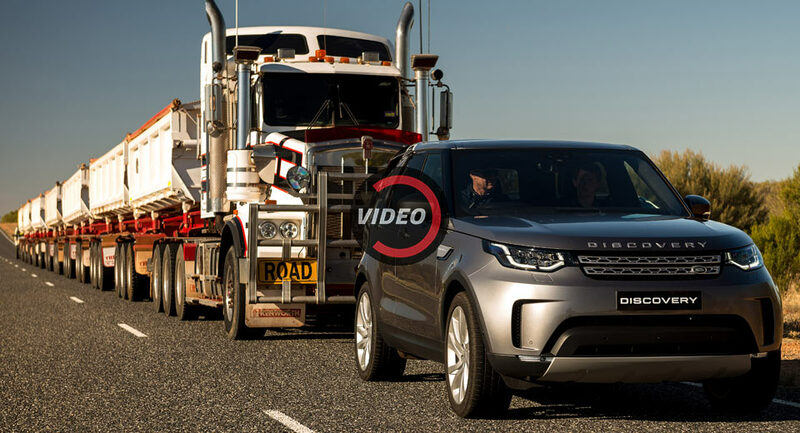 The combined weight of the rig is over 30 times more than the Discovery Td6 is certified to carry, but as you can see from the video below, it had little trouble pulling it off. 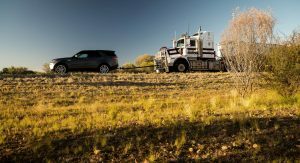 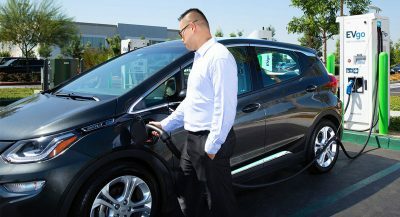 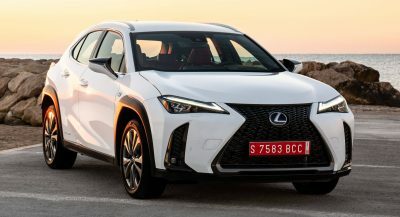 Aside from a factory-equipped tow bar, the vehicle was bone stock, with a 3.0-liter Ingenium diesel engine, eight-speed automatic transmission, and four-wheel drive. 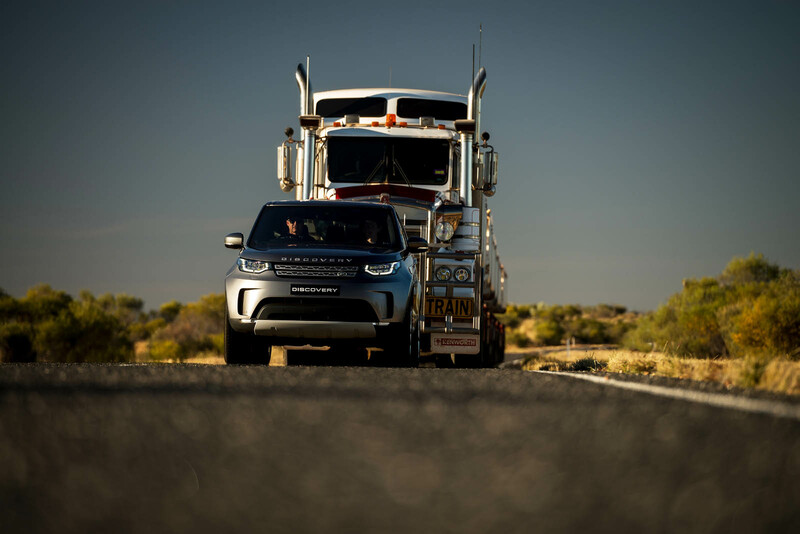 Thanks Land Rover can’t wait to get one of these to tow my 120-ton road train! 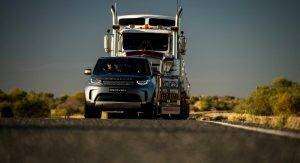 Maybe we need a competition between a Land Rover and Kevin Fast.